Below is a photo from my incomplete fan film from the 90's titled "Kid Rangers: The Movie". 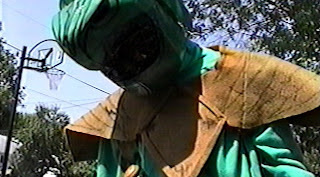 The picture features Aaron Klinkradt as "the green ranger". Filming continues tomorrow morning at 7:00 a.m. on "Project Trapped".